Saltash.net student Holly Hale, and her pony Jack, enjoyed success representing Cornwall in the British Dressage Youth Inter County Dressage Competition, held at Bicton Arena over the Bank Holiday weekend. In the two-day competition, Holly’s team competed against Devon, Somerset, Dorset, Wiltshire and Gloucestershire. 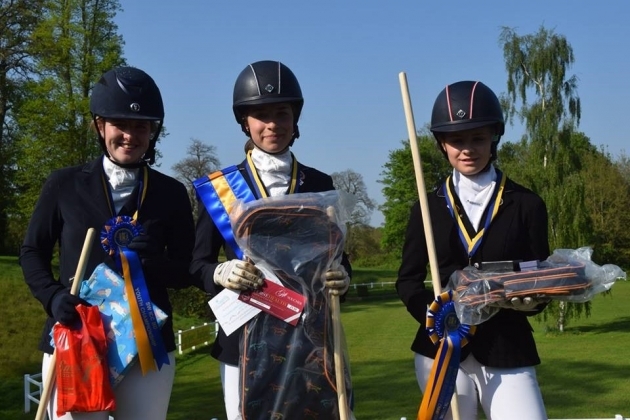 Cornwall finished 3rd behind Devon and Somerset, with Holly and Jack producing lovely tests both days, including scoring a personal best, to secure Reserve Champion in the C Squad Senior section.